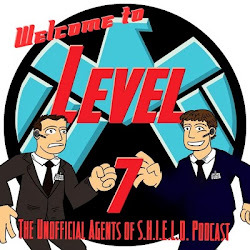 I often judge an episode of Marvel's Agents of S.H.I.E.L.D. by my tension level. The more tense I am by the end of the episode the more I liked it due to the action and suspense. So when I received my review copy of the latest installment in the Deadliest Cast Member saga I shot off an email to the author noting my worry he would kill off a character or two like he has done in the earlier offering. Before I even cracked the cover I was worried! 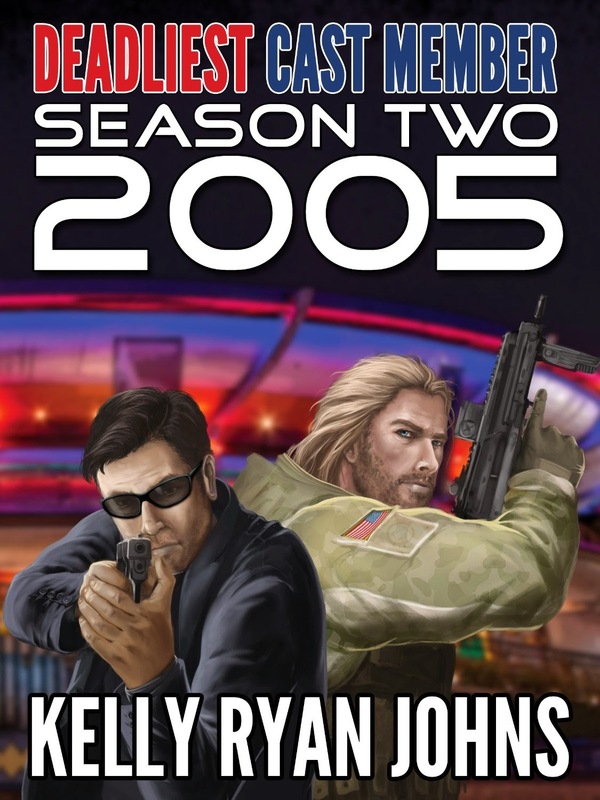 The Deadliest Cast Member: Season Two by Kelly Ryan Johns takes hero Jack Duncan and his partner Kendall Shepherd back to 2005. Johns walks his readers through the 50th Anniversary of Disneyland, the day in which Duncan lost his wife and became a true national hero when former Soviet spy Nikolai Grusov held the park hostage. Readers follow Jack throughout his day as he attempts to both protect the park and his family. And as readers know the price is high since Duncan's life was changed forever this day. The conspiracy against the park and the Duncan family is more complex than one might believe. Along with following our heroes, readers also join guests and media being held hostage in the park. While Jack and Kendall try to protect Disneyland and its guests, two pairs of time travelers also work to impact the final outcome. One pair, Jack's father Stan and a companion close to the history of the park worry that changing the events of the fateful day could leave a larger scar on the timeline. And the others, a pair of highly trained operatives from the future use futuristic gadgets and weapons to make a change that could have ramifications for the Duncan family in the far off 2035. Early in this installment of the franchise the science fiction element is laid out. While there is an action story being played out in front of us, there are time travellers in the park which are attempting to change or not change the story. One of these characters is an adult version of one of the kids from the Voyageers' series of books by Johns. And you do feel like this could be the grown-up character as you watch their personality and determination in action. The other is one you start to believe has a more complex back story than time traveling criminal, and of course he does! Really it is Jack and Kendall that I find myself most attracted to when I grab this book. And this Jack seems more violent and less fatherly than the version that we met in the first installment set in the future. That Jack is a father who has been raising his kids alone as a widower. This Jack is freshly out of the military and just now starting a new job at Disneyland. He literally has no idea who he can can trust other than a close circle that includes Kendall and his father. He is focused and willing to do everything he can to protect his family and his beloved Disneyland. Basically you can see this Jack as a earlier version of what we saw in the first volume. One can see how the Jack we were introduced to grew from this man. Of course Kendall is Kendall, he is solid, caring, and the best friend one can have. Overall the book is easy to read and clear. The story is written as an hourly log of events. It did take me awhile to get myself into the book, or would that be hours as one reads it. I was distracted by trying to keep track of who was who and trying to remember who I was introduced to before. Though even when this was happening I was still able to enjoy the book while reading it at a fast pace. But by the time I got into the last 40 percent, tension had risen. I found I could no longer put the book down without being frustrated by my need to end the tension and find out what was happening next. For a book that should have a set outcome I knew was going to happen, Johns found ways to bring me doubt to my certainty. Will Jack Duncan return? Johns makes it clear that is up to the fans and how they receive the story. I for one hope to see a sequel to The Deadliest Cast Member: Season Two as Johns has some unfinished business for all his characters. And I would really like to see if Jack Duncan or the man from 2035 is the greatest warrior of all time! Oh and yes, look for the post-credit scene Marvel Cinematic Universe fans!